Want a free Easter Chocolate? 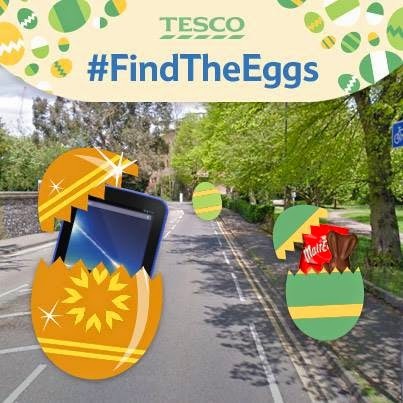 Why not enter Tesco Find The Eggs Competition? All you need to do is click on this link and find the 3 hidden eggs. Find the golden egg and you will have a chance to win a new HUDL tablet. You can either redeemed your Malteaser Bunny in store or via online delivery. I wasn't lucky enough to win myself a tablet. Anyway, I am happy enough with just a chocolate. I've got my free Malteaser Bunny delivered to me today along with my grocery. Have you got yours?